Elbit says its Hermes 900 Maritime Patrol will be fitted with a dedicated mission package to enable persistent monitoring of vast swathes of sea and long coastlines and effective identification of suspicious activities and potential hazards. 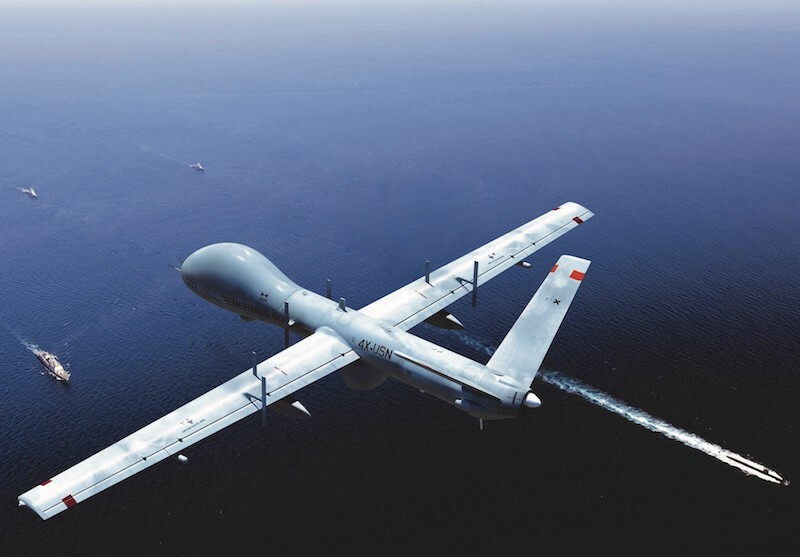 HAIFA, Israel --- Elbit Systems Ltd. announced today that it was awarded a framework contract to provide maritime Unmanned Aircraft System (UAS) patrol services to be provided by the European Maritime Safety Agency (EMSA) to countries in the European Union. The contract that will be executed in cooperation with CEiiA is for a two-year base period and two single year option periods. If fully ordered, the total contract value is €59 million (approximately $68 million). Under the contract and in cooperation with CEiiA, a leading engineering company in Portugal, Elbit Systems will lease and operate its Hermes 900 Maritime Patrol and its Ground Control Station. A persistent long-range unmanned maritime surveillance system tailored for littoral and blue water operations, the Hermes 900 Maritime Patrol will feature maritime radar, an Electro Optic payload, Satellite Communication and an Automatic Identification System (AIS) receiver. Thus configured, the Hermes 900 Maritime Patrol will enable persistent monitoring of vast swathes of sea and long coastlines and effective identification of suspicious activities and potential hazards. Elbit Systems Ltd. is an international high technology company engaged in a wide range of defense, homeland security and commercial programs throughout the world. The Company, which includes Elbit Systems and its subsidiaries, operates in the areas of aerospace, land and naval systems, command, control, communications, computers, intelligence surveillance and reconnaissance (C4ISR), unmanned aircraft systems, advanced electro-optics, electro-optic space systems, EW suites, signal intelligence systems, data links and communications systems, radios and cyber-based systems. CEiiA is a Portuguese Centre of Engineering and Product Development that designs, implements and operates innovative products and services, alongside with its partners, for high-tech industries, such as, the aeronautics, unmanned aircraft systems, automotive, smart mobility, oceans and space. CEiiA offers complete solutions, covering all product development phases from concept to the production of small series or prototypes, and operation of intelligent systems and unmanned aircraft systems.